Decision leaves current vote restoration system in place -- for now. This was the clemency board that passed the voting system now under fire. ttorney General Pam Bondi, Gov. 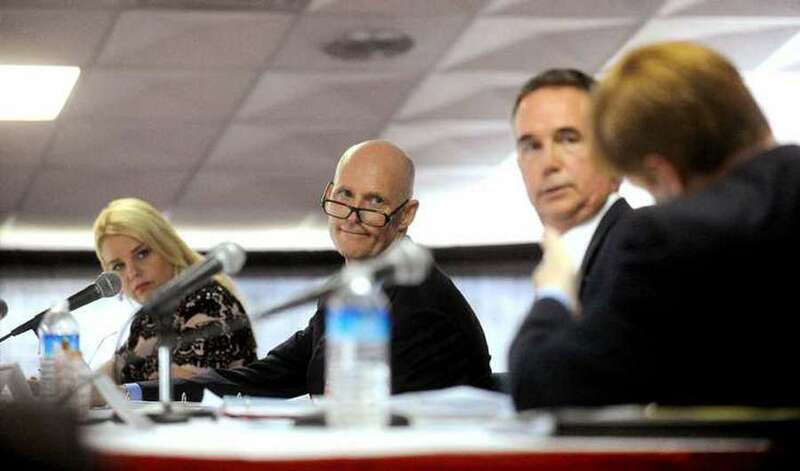 Rick Scott, former Chief Financial Officer Jeff Atwater, and Commissioner of Agriculture Adam Putnam (back turned). TALLAHASSEE — A federal appeals court handed a political victory to Gov. Rick Scott late Wednesday when it blocked a lower court ruling that struck down Florida's system for restoring voting rights to convicted felons. A three-judge panel of the U.S. Circuit Court of Appeals in Atlanta issued a stay of a March 27 order by U.S. District Judge Mark Walker, who declared the system "fatally flawed" and unconstitutionally arbitrary. "The governor has broad discretion to grant and deny clemency, even when the applicable regime lacks any standards," said the order written by Judge Stanley Marcus, a former federal judge in Miami, striking at the heart of Walker's earlier decision. In its order, the Atlanta court repeatedly cited the 1969 decision by the U.S. Supreme Court in Beacham vs. Braterman, a Florida case that set the precedent for a "standardless" clemency system. The Atlanta court's stay came hours before Walker's injunction would have taken effect. It ordered Scott and three elected Cabinet members to adopt "specific standards and neutral criteria" to decide how to restore voting rights to an estimated 1.5 million felons living in Florida. Walker earlier had said the Florida voting rights restoration process was unconstitutional because it gave "unfettered discretion" to the governor who has the power to grant or deny voting rights for any reason. 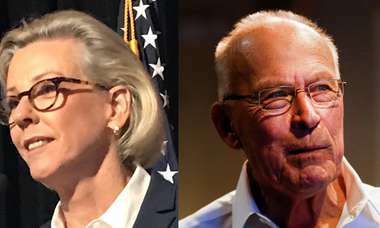 "We are glad that the 11th Circuit Court of Appeals has stayed the lower court's reckless ruling," Scott's office said. "Judges should interpret the law, not create it." Scott, a Republican, is a candidate for the U.S. Senate. Walker was appointed to the federal bench by former President Barack Obama, a Democrat. Walker is a former law partner of Steve Andrews, a Tallahassee personal injury lawyer, who sued Scott in a case in which Scott agreed to pay $700,000 in legal fees to end a legal battle over public records. Minutes after the Atlanta court released its order, Scott cancelled an emergency meeting of the Cabinet that he called to pass temporary rules to comply with Walker's order. Walker ruled March 27 that Florida's system of requiring felons to wait five years to petition Scott and three elected Cabinet members for the right to vote is "fatally flawed" because it is so arbitrary. The judge ordered a new system be in place by April 26, a timetable that the Atlanta court called "a tall order." RELATED COVERAGE: Rick Scott has made enemies over voting rights during the last eight years. Federal judge orders Rick Scott, Cabinet to create new voting rights restoration system for felons by April 26. The four officials also make up a state clemency board that meets four times a year to consider requests by convicted felons to regain specific rights, including the right to vote. Three months after taking office, in April 2011, Scott scrapped the previous system under which most felons were allowed to vote without formal hearings. In its place, the state requires every felon to wait at least five years before submitting a request for restoration of the right to vote, a process that often takes a decade or more. Before the Atlanta court issued a stay, critics said the state's actions raised questions of whether the governor and Cabinet skirted the Sunshine Law, which requires that all decisions be made at public meetings. "This stinks," said Barbara Petersen of the First Amendment Foundation, an open-government advocacy group backed by Florida newspapers, including the Tampa Bay Times and Miami Herald. Mark Schlakman, an attorney who closely follows Florida's clemency process, criticized the scheduling of a late-night meeting on such short notice. "The timing suggests the governor and Cabinet aren't genuinely interested in public comment," Schlakman said. Scott called Walker's decision "unprecedented" and "reckless" because it ordered the state to change decades of practice in a matter of weeks. Putnam, who is running to replace Scott as governor, did not respond to a request for comment. At a campaign appearance two weeks ago, Putnam expressed support for relaxing clemency rules, according to the Sarasota Herald-Tribune. "There ought to be a faster, easier way for nonviolent felons to get their rights restored," Putnam said. "As we look at moving forward with complying with the judge's order… that's the kind of structure that I would support." Florida voters will decide in November whether to amend the state Constitution to allow most felons to automatically regain their voting rights. A February poll by Quinnipiac University showed 67 percent of voters supported the proposal and 27 percent opposed it. "The unconstitutional system that was determined by Judge Walker stays in place," said Howard Simon of the American Civil Liberties Union of Florida, a key supporter of the ballot initiative. "The remedy is in the hands of the people." Simon noted that Florida's vote restoration system for felons has been used and misused by both Democrats and Republicans since the 1800s.